So you’ve read our review of Doc Logic and you really want it (quite rightly) but it’s 80 Microsoft Points. You could buy a pair of sunglasses for your avatar for that! Well, you’re in luck, because thanks to the kind folk at Cosmic Logic, we have a couple of copies of the game to give away! To enter, all you need to do is download the Doc Logic trial, and then click this link and retweet the message contained within before 2100 BST tomorrow night. That’s the 26th of August, date fans. To be entirely honest, downloading the trial isn’t really part of the competition, but why not do it anyway? It’s a great game and if you don’t manage to win it, you should still want it. It’s Friday (Friday), the day after Thursday, the day before Saturday, and as well as being fun fun fun fun, it’s also a day on which Achievement Locked is offering you a chance to win Astroman, thanks to StarQuail Games! Have you read our coverage? We like it a lot and you should probably want to win this. So, what inane hoop are we going to make you jump through for the chance of winning? The competition will close on 28th March at 2200BST, good grief, is it time for BST already? Good luck, and in the meantime, why not check out the trial of Astroman? And if you don’t win, it’s available for just 240 Microsoft Points. Have you read our gushing praise of Leave Home, yet? You want a copy, don’t you? Well, you’re in luck! Thanks to the fine folk at hermitgames, we’ve got two copies to give away. But how? 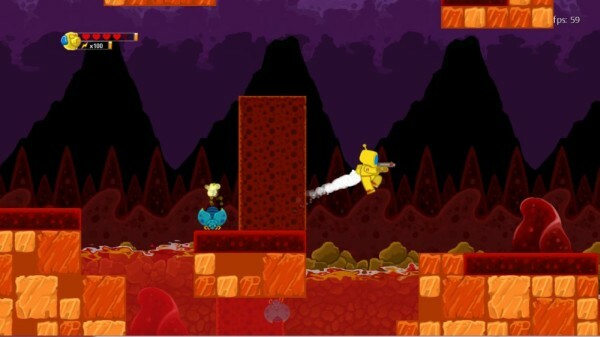 How can you get your hands on this game? Well, it’s up to you! Either post a comment below to tell us what your favourite Xbox LIVE Indie Game is, or go visit my twitter and retweet the most obvious tweet to get entered into this competition! Or, if you’re particularly cunning, enter both ways to double your chances of winning. One prize will be given for each method of entry, and you’ll want to enter before 2nd March at 2200GMT because that’s when the winners will be randomly drawn! Good luck, and in the meantime, why not check out the trial of Leave Home? And if you don’t win, don’t forget to pick it up for the tiny amount of 80 Microsoft Points. The chance of winning a free game, just for leaving a comment? I’m in! 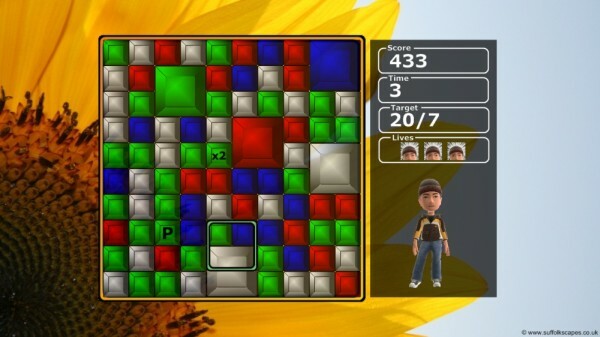 CuBlocks is a game with elements of Lumines, Chime and Hexic. You have to rotate sets of four coloured blocks to make larger coloured blocks (the bigger the better), which you can probably work out from this screenshot. 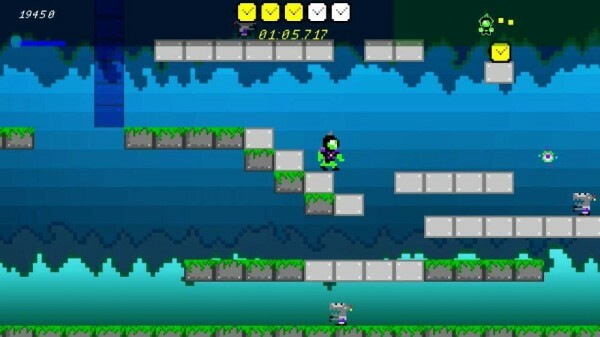 Then after a few seconds the game removes any big blocks you’ve made and you continue on. If you don’t manage to make any in time, you lose a life, and with the game speeding up all the time it’s soon frantic! 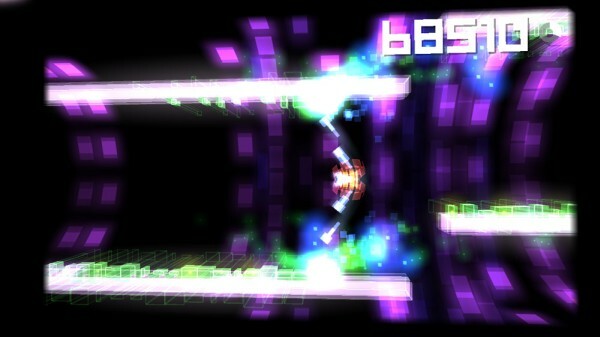 The screenshot above shows a single player score of 433. To win your very own copy, just leave a comment below and tell us what score the player has in the other single player screenshot on the game’s Marketplace page. Closing date is Monday February 14th at 2200GMT. Entries after this date won’t be counted (and won’t be charged either, entry is free!) Winner will be chosen at random from all correct entries. Don’t forget to leave your twitter username, or some contact details so that we can send you a code if you win. Good luck!